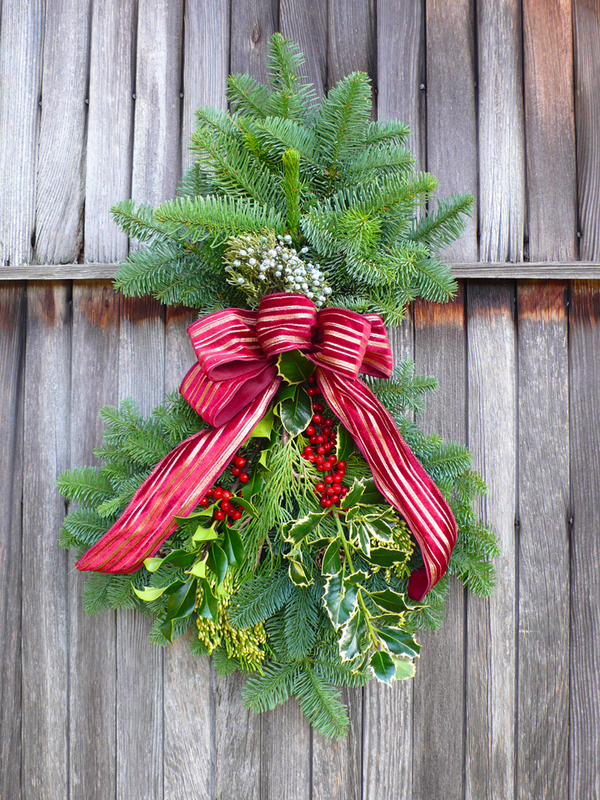 Each two-foot long door charm is crafted with Noble and Douglas fir, cedar, juniper, English and variegated holly, ponderosa pine cones and completed with fabric handmade bow. 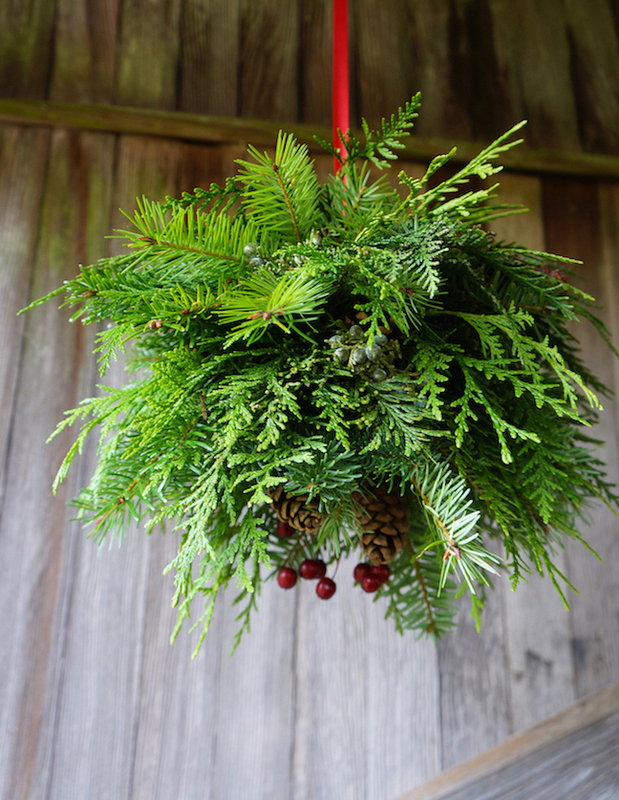 It's all clamped into a sturdy wire holder with built-in hook on the back. 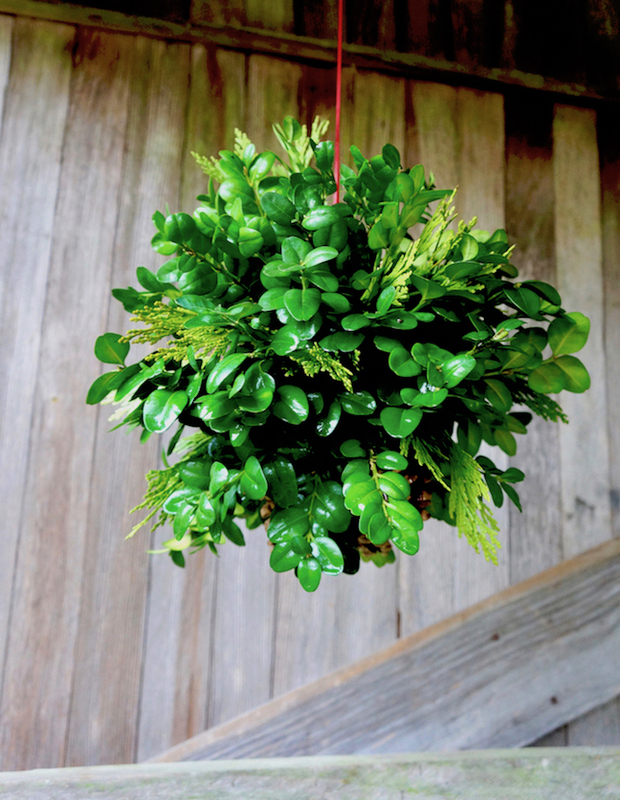 Evergreen Mistletoe balls are approximately 10" diameter, uniquely and delicately handcrafted. 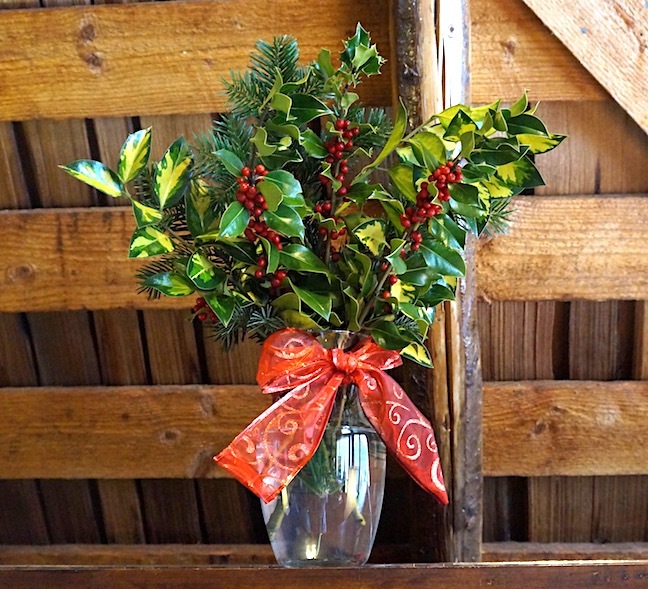 They come with a red satin ribbon for hanging ~ or you might like to use a special bow for your own creative touch! Freshly picked, packaged and shipped the same day! 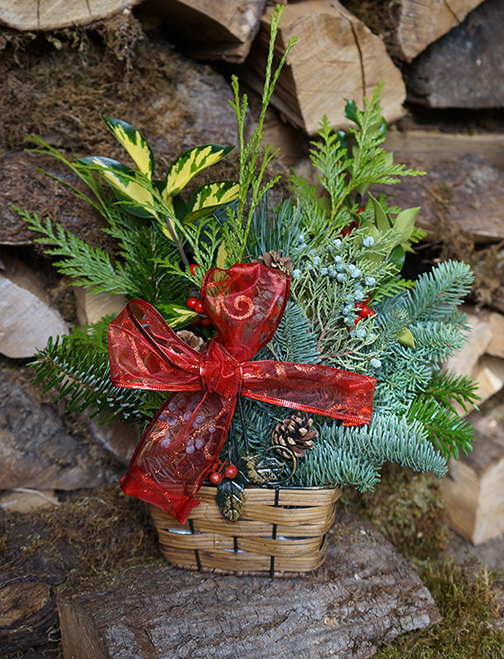 These lovely bouquets are arranged with your choice of cedar or Nordmann fir boughs. 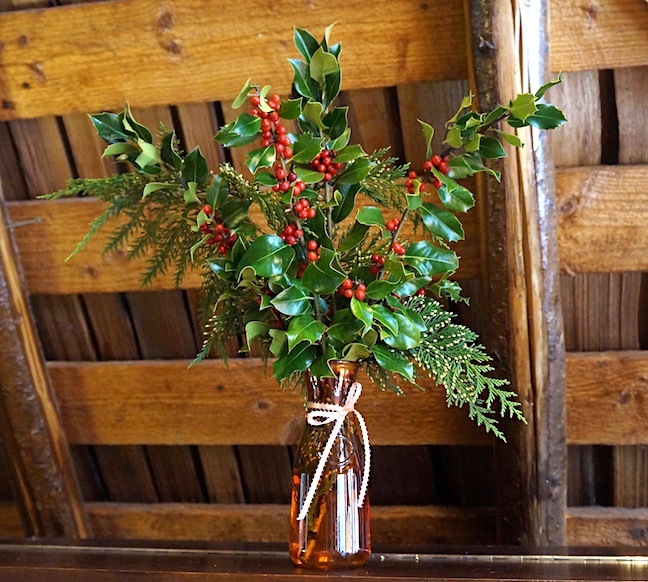 Six sprigs of freshly cut holly are bundled in greenery, tied with ribbon and sent USPS Priority. Approximately 15" tall. 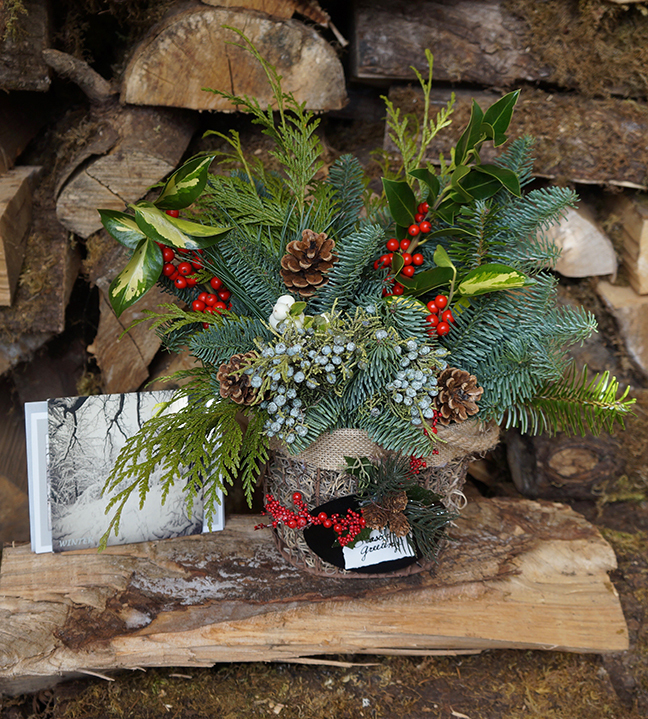 Comes with personalized greeting card (vase not included). A fresh way to brighten up anyone's day! ~ with their fragrant scents and lively arrangements! 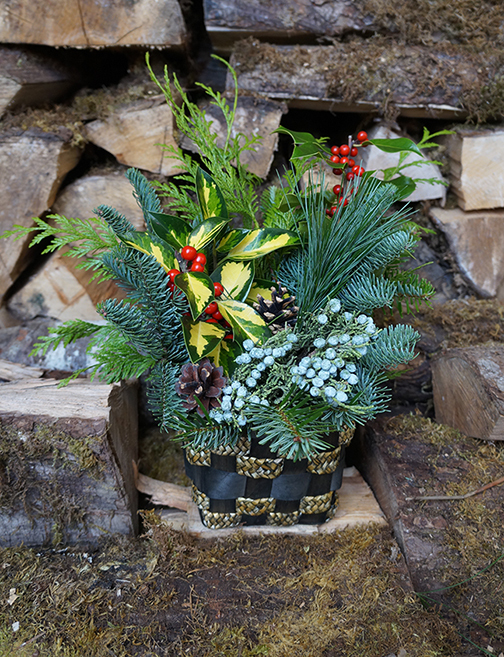 Bouquets vary, but measures approximately 10-12" high, 6-8" at base and 16" at its fullest. 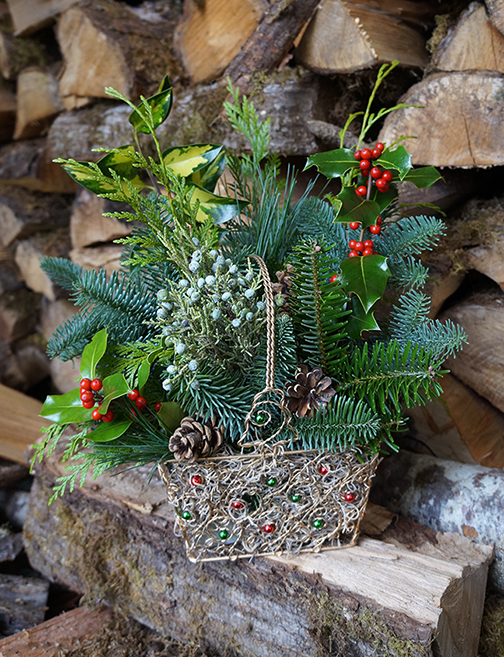 All items are handcrafted to order and shipped in a sturdy box. Delight someone with a pleasure to all the senses! © Copyright 1997-2019 Fleeting Echoes Ltd.